Brian’s novels feature more sexual content than many novels in the suspense genre. Why do you think he chooses this technique? How did the focus on sexuality affect your knowledge of the characters and your enjoyment of the book? Brian calls his novels “psychological suspense” rather than “mysteries.” Is this an apt description? How would you compare and contrast his approach to the genre with other authors you enjoy? How does the novel change – or reinforce – your impressions of Las Vegas? Is Stride wrong to stay with Serena at the end of the book? Talk about Serena’s background and her relationship with Claire. Many readers have said that Amanda is their favorite character. How did you react to her unusual sexuality? Stride is introduced in this book with the line “Fish out of water.” Talk about Stride in Las Vegas and his relationship to the city. Could he ever survive there? Contrast 1960s-era Las Vegas – particularly Amira and the Sheherezade – with the city in the present. How does the past cast its shadow over the book? Discuss the complexities of Boni Fisso as a character and his relationships with women like Amira and Claire. There are numerous broken relationships in this book between parent and child. How do the parent/child relationships shape the characters? Talk about the minor characters in the book, such as Tierney Dargon, Rex Terrell, Nick Humphrey, and Harvey Washington. Have you read Brian’s other books? 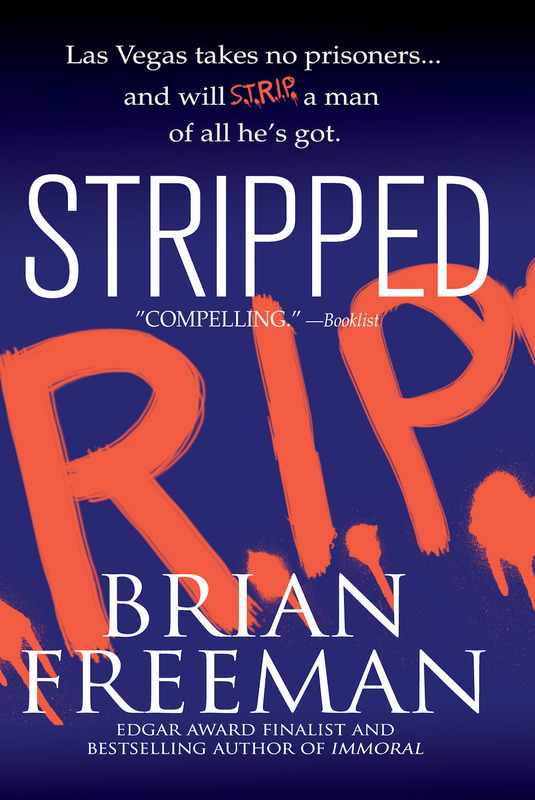 Compare STRIPPED to the others he has written. Which one is your favorite? Why?